We are all aware of the many distractions which can interfere with our daily lives. Things like mobile phones, loud music, television, boisterous children, traffic and raucous voices. When we want to focus on something really important like examinations, driving tests, visual and verbal presentations for academic degrees and other similar very important parts of our life, we sometimes need a bit of extra help to make sure that we are fully prepared for what can be a life changing event. This is where a session of hypnotherapy can help. 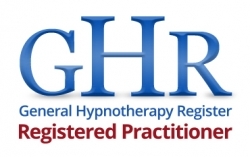 Of course, you will have to have done all the background work but the hypnotherapy will give you greater confidence and a clearer mind to project your thoughts and action no matter in what shape or form you have to demonstrate your knowledge. Come and have a chat with me. I have a free 30 minute session in which you can get to know me and ask questions. Theses sessions are normally on a one to one basis but I can take up to four students for these chats although the actual hypnotherapy session would be on a one to one basis. I have helped many clients succeed so please phone and discuss. Your career prospects are so important to you that you should take advantage of every bit of extra help you can get.